I've talked about the characters (Moon Wolf and Hatta Mari), my software choices (Poser 11, Manga Studio 5) and even my font (Blambot Casual). I guess I've beat around the bush long enough and should finally show you one of the comic pages I've created that brings it all together. Click on image to make it big. 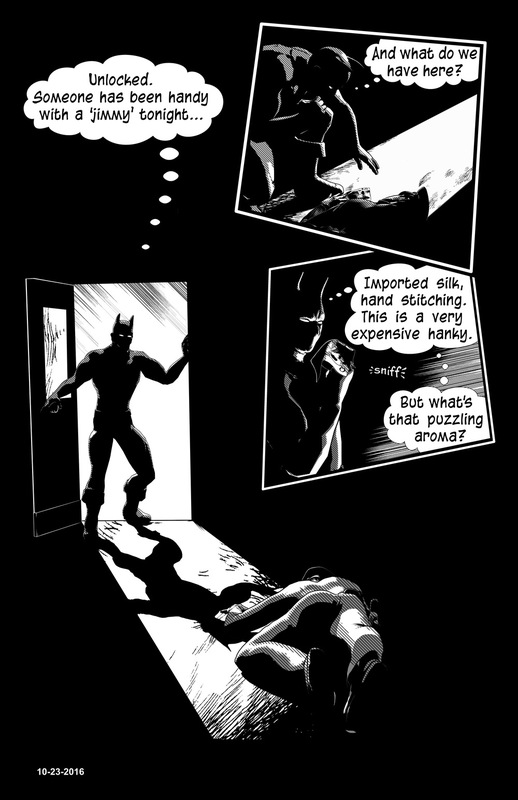 As with all the other work in this project, I've created the art in Poser 11 (using the Live Comic Book Preview). Then, I bring multiple renders into Manga Studio 5 and combine them to create a single image. Panels, clean-up and lettering are all done in MS5. In a future post, I will show how this process works in more detail. UPDATE 15-Sept-2017: I finally wrote that tutorial! You can start reading it here.